When it comes to literacy for our students, it is essential to implement strategies with multiple formats that achieve the best results. A balanced literacy program serves as this classroom strategy. Unsure of what a balanced literacy program is? No worries, because chances are, you are already using many reading and writing formats of a balanced literacy program in your classroom already. From reading aloud to vocabulary development, you are already striking a balance of some kind when it comes to literacy. However, implementing a full program may enhance the learning moments for students. Let’s take a deeper look at what a balanced literacy program is, and the reading literacy tools you can draw from for your class. What Is A Balanced Literacy Program? A balanced literacy program encompasses both language reading and sound in different ways to optimize literacy learning among students. For example, there is writing and reading workshops, group communication, read aloud times, and more. The main aim is for you, the teacher, to use modeling with students in tow, grasping the literacy after. 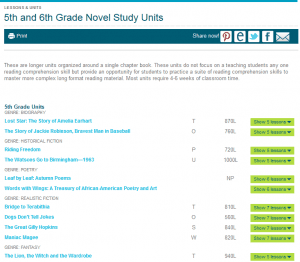 There are plenty of ways to implement a balanced literacy program, and plenty of online and digital tools, like Big Universe, for instance. Guided reading is one balanced literacy tool that segments reading by reading level for students. This differs from other literacy tools in class, like reading aloud and shared reading, because it is a group and level activity, rather than a whole class participation. The differentiator is that guided reading sessions focus on a particular group of students. Reading comprehension and comfortability are main focus areas when choosing groups of students, as well as literacy skill sets. This is a great activity! Much like guided reading, shared reading encompasses the same reading principles, but on a class-wide basis. Shared reading sessions involve having the teacher model the correct way to read a text, and correct proficiency. Then, the students follow in the teacher’s footsteps. For example, the teacher will be at the front of the classroom, and books in the hands of all the students in the class. He or she will read a paragraph or two of the book, giving the correct model. Next, the teacher will call upon a student to read the text in the same way. 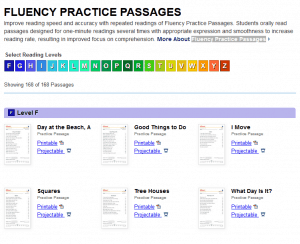 This balanced literacy program tool is a great way for students to learn how to read with the correct proficiency in real-time. Reading aloud is something we have all done with our students. 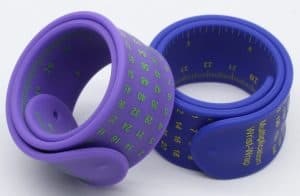 This literacy tool allows students to read proficiently and go through the same steps as if they were reading alone at home. It is a support mechanism that not only builds reading comprehension, but also listening comprehension. “Reading aloud is the best way to help children develop word mastery and grammatical understanding, which form the basis for learning how to read,” Dominic Massaro, a professor in psychology at the University of California told EdSource. There are a lot of other studies out there that suggest reading aloud curbs social behavior issues and creates stronger bonds in the home as well. Vocabulary building is of course a very important aspect of literacy, and it is also a balanced literacy tool you can implement into your classroom comprehension teachings. Vocabulary building, however, is much more involved than word-definition practice. It involves intricate dissection of the words themselves. For example, you can integrate phonetic breakdowns of words to enhance the spelling and pronunciation abilities of your students. Pairing images with vocabulary is also very beneficial, giving students the visual needed to make connections with words later on. You can use online digital library material to support this balanced literacy program tool. Following the vocabulary building, you can implement collaborative writing into your classroom’s balanced literacy program. What does this mean? In order to keep the attention and continue moving students’ proficiency levels in reading and writing forward in a powerful way, keeping things interactive is a plus. Collaborative writing makes this happen. For instance, you can write out a sentence or two on a sheet of paper, and then pass the sheet of paper to a student to write another sentence or two following the topic you began with. Next, that student will pass it on, and so on, until the class has a nice story written down. There are certainly plenty of tools you can implement into your own class’ balanced literacy program. From reading aloud to collaborative writing, having a variety of literacy tasks at hand can greatly increase students’ proficiency levels in reading and writing. 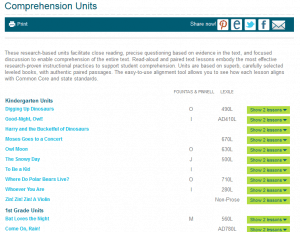 What literacy tool has the most success for your students?